For all users of this Script, we have made this great new Compiler PLUGIN it’s totally new build up from scratch! Take a look at this new Feature! With this encoder script you can make your PHP source code unreadable for normal people but the skript will still work on your webserver. 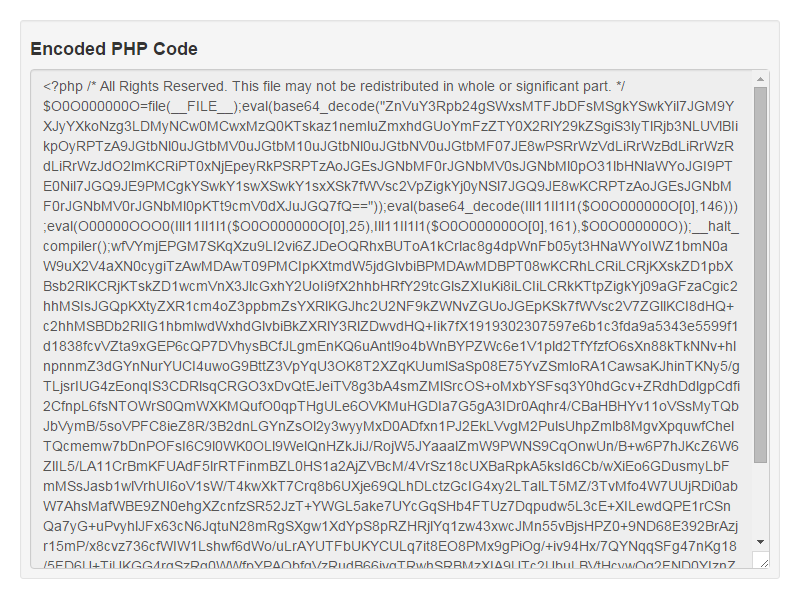 This is very useful when you give a script to someone but you don’t want them to view your php source code. 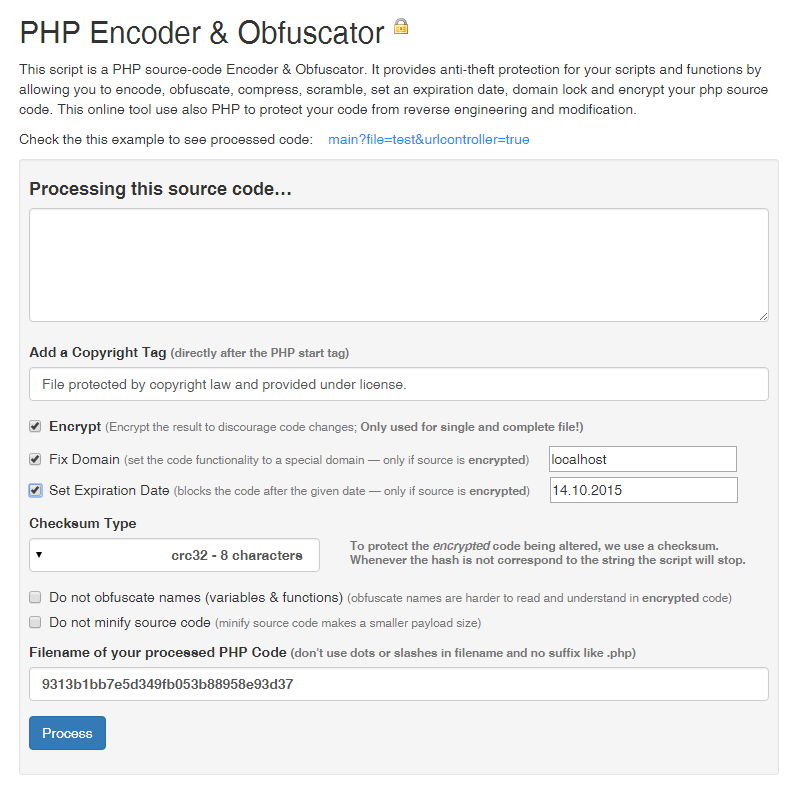 This script is a PHP source-code encoder and obfuscator. It provides anti-theft protection for your scripts and functions by allowing you to encode, obfuscate, compress, scramble, set an expiration date, domain lock and encrypt your php source code. This online tool use also PHP to protect your code from reverse engineering and modification. If your php source code don’t work after obfuscation please give us not a bad rate, please take a look at the documentation. If this is not helpful contact our support, we will do everything so that our product deserves a 5 star rating! We sell this software exclusively on codecanyon.net.